Most toothaches occur due to untreated tooth decay or an injury that has affected the interior of the tooth. The tooth’s interior pulp, which we often call the “nerve,” holds sensitive tissue that can cause pain when exposed to bacteria, air, heat, or cold. 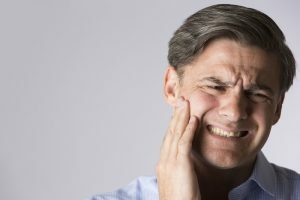 Toothaches may throb constantly during the day and get worse at night, or they may only bother you when you bite down on something as you eat. Either way, you need to seek treatment as soon as possible. When a toothache is ignored, it is almost a guarantee that the problem will continue to worsen until the tooth is so far damaged that it cannot be rescued at all. And while we have come a long way in tooth replacement options with dental implants, there is no solution that is truly as good as your healthy natural tooth. When you come into the office for urgent treatment of a toothache, your dentist will assess the situation to determine the appropriate method of action for your smile. Often times, an emergency root canal can be used to rescue the tooth from extraction. A sturdy filling or dental crown will be placed on the tooth after the root canal is complete. While root canals have the reputation of being painful or something to dread, we promise you won’t feel a thing thanks to modern anesthesia and dental tools. All you’ll notice is the relief of a tooth without aches and pains! If the tooth isn’t so far gone that it requires a root canal, your dentist may be able to treat it effectively with a simple filling. This can usually be completed in the same appointment. With customizable tooth-colored materials, you will appreciate knowing no one will be able to see the evidence of your filling once it is complete. Whatever the appropriate treatment for your aching tooth, you can feel confident when you partner with your dentist in Jacksonville for prompt treatment. Dr. Jignesh Patel is a trusted emergency dentist providing important same-day services as needed for patients in and around Jacksonville. To learn more about Dr. Patel or to schedule an appointment with the Dental Center of Jacksonville, you are invited to contact the office at (904) 262-9466.